One of the most efficient and fun ways to express your feelings through text is by adding emojies on your messages. Aside from text messages, anyone can also use emojies on Facebook status updates/posts, Instagram and Twitter tweets. With the latest update from Google, Android users are now able to send emoji from their Android phones to any of their friends using iPhones. There are two ways to use emoji on the new Samsung Galaxy S5 handset. Emojies are already built into the S5 handset, S4,and Note 3 devices running in Android 4.4.2 or higher versions. In this case, all you need to do is to enable the Emoji keyboard on your phone. Another option you have (in case your device is running lower version of Android OS 4.4.2) is to install an add-on application for you to use emoji on your device. Either ways is fine. For those who need further assistance in activating emoji for use on their Galaxy S5, you may refer to this content. 1. 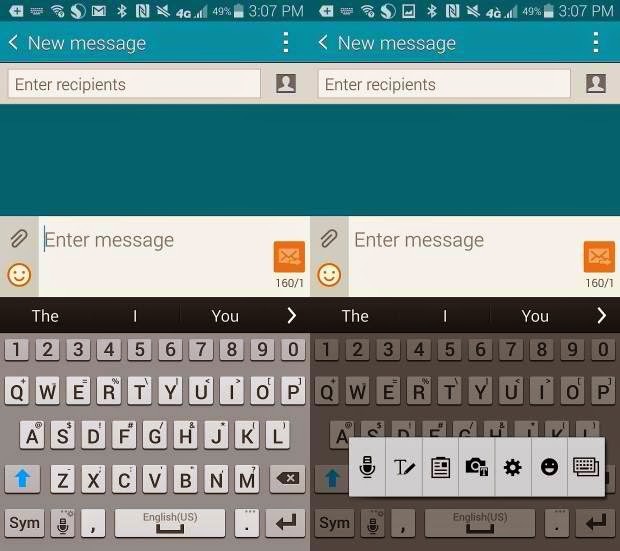 Open any available apps on your phone in which you can compose or write messages. 2. Once the messaging app is running on screen, tap on the text field. This will open or activate your handset's keyboard. 3. Look for a small microphone icon to the left of the space bar. (Refer to the image below). 4. Look for the black smiley face (second to the last icon from the little sub-menu) and then tap on it for you to see the list of emoji icons on your keyboard. Choose any of these emoji icons to insert into your text message. 5. Once you're done composing your emoji-message, you may now send it to anyone you want, either an Android or iPhone user. Note: Emoji faces may differ in both devices but they mean the same. For you to see different groups of emoji, tap on the small icons at the very bottom of the screen. Doing so will prompt you with a plethora of emoji characters to select from. Simply scroll up and down to view more options and tap on the small buttons located at the bottom to see additional groups of symbols, figures and characters available. Once you're done, switch to the regular keyboard by tapping on the ABC button found on the bottom left corner. While this is not necessary for those with Android 4.4.2 firmware installed in their phone, this may also be applicable to other smartphone owners, particularly those with phones running below Android OS version 4.4.2. Another alternative way to use emoji icons is through an application. 2. Once you have downloaded these applications, install them on your phone. 3. After installation, try to use emoji on your text. As recommended, use the GO SMS PRO as your messaging app. Emoji are a more advanced form of the emoticon or smiley faces that are commonly used in text messages and emails. Emoji on the Galaxy S5 comprised many different small colorful faces and icons that allow users to be more expressive than just a simple wink.